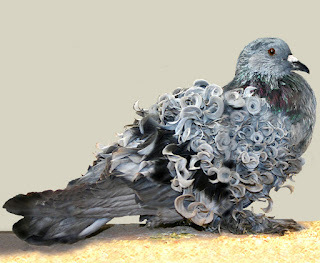 The curl of a Frillback pigeon covers its entire wing shield. No areas should be uncovered. 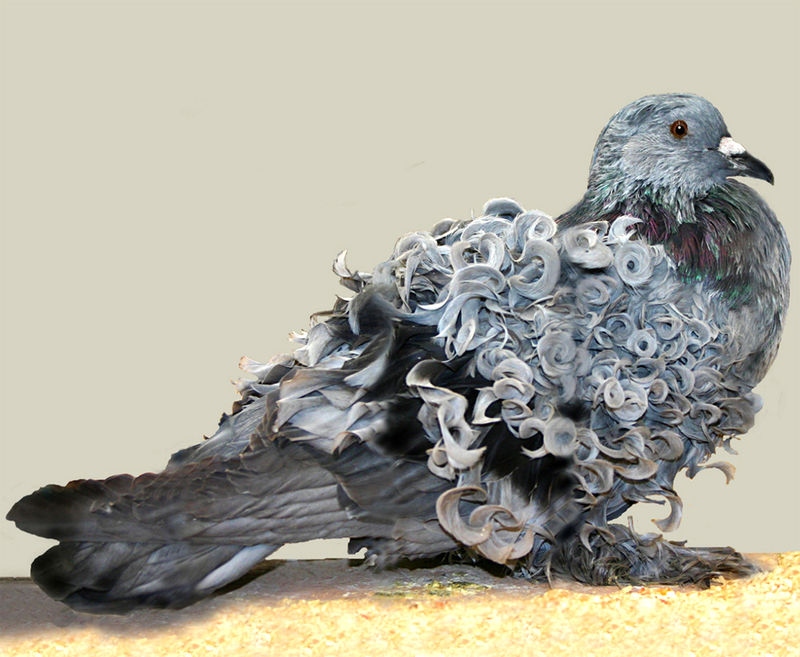 The last row of curls spans the entire length of the wing. Frills form a distinct ringlet curl at the end.